This is a contemporary Art Deco dining set commissioned for a family in San Francisco, that includes an extension table that extends from 6ft to 12ft in length, with leaves added. 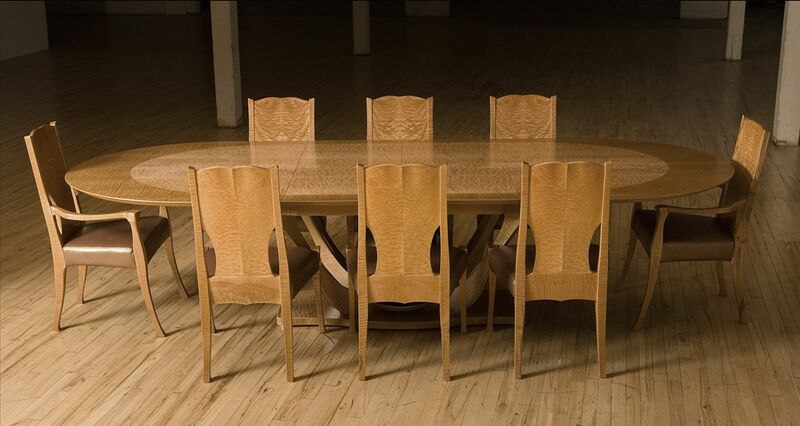 It is a unique one of a kind set made from various maples including Eastern Red Maple, handmade Western Fiddleback Maple veneer, handmade Western Maple Burl veneer, and Eastern Big Leaf Maple veneer. The "ball" shape is spun steel that is hand polished and patinaed. This set could be redesigned in many ways, in many woods, and may have an impact on the cost (+ or -) depending on the details desired. The time frame listed below is incorrect, it was more than 9 months of work, but my only option to choose below was 12 weeks. 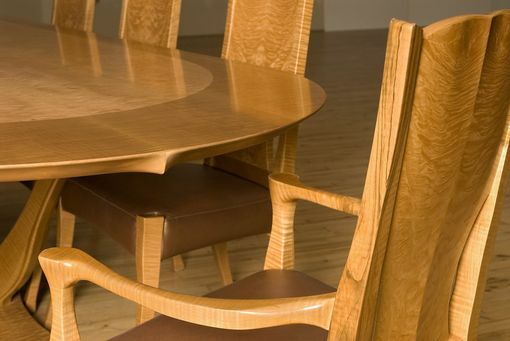 Contact maker for various wood options, pricing options for the table and the chairs as separate items rather than as a complete set. This price below is the complete set of table and 14 chairs. 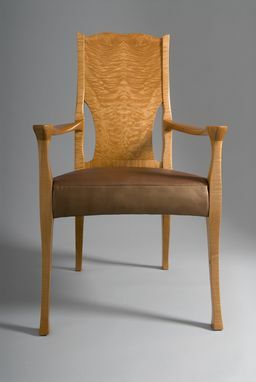 Contact maker for timeline options for the numbers of chairs or detail adjustments for similar designs. there are many variations that could be done in very beautiful ways.